It's now possible for Pro CodeHS teachers to export the Code Timeline as an Excel or CSV file! 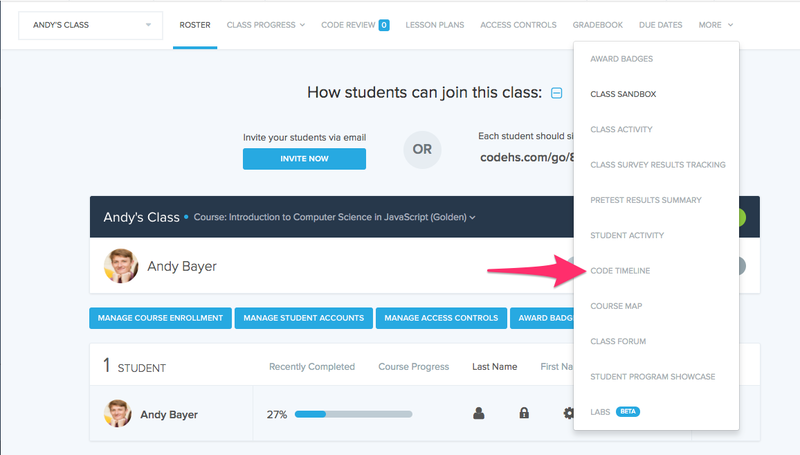 On the Code Timeline page, click one of the Export buttons to download an Excel document or a CSV with your students' code activity. You can view your students' code activity anywhere you could open a spreadsheet.